I’ve struggled with my weight in the past and need to monitor it to keep me motivated. 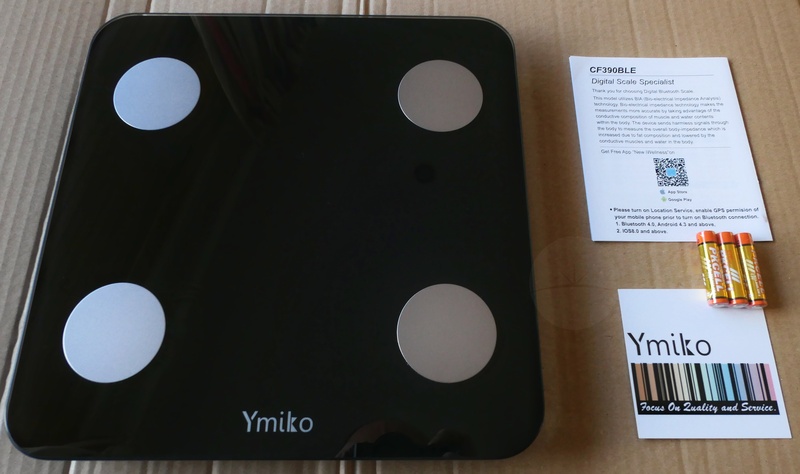 While any bathroom scale will do the job, this one connects wirelessly to your phone allowing it to not only record and keep track of your weight, but also loads of other stats such as your BMI, % body fat and % water. Inside the box you get the scales themselves along with instructions and 3 AAA batteries that fit inside a hatch on the base. 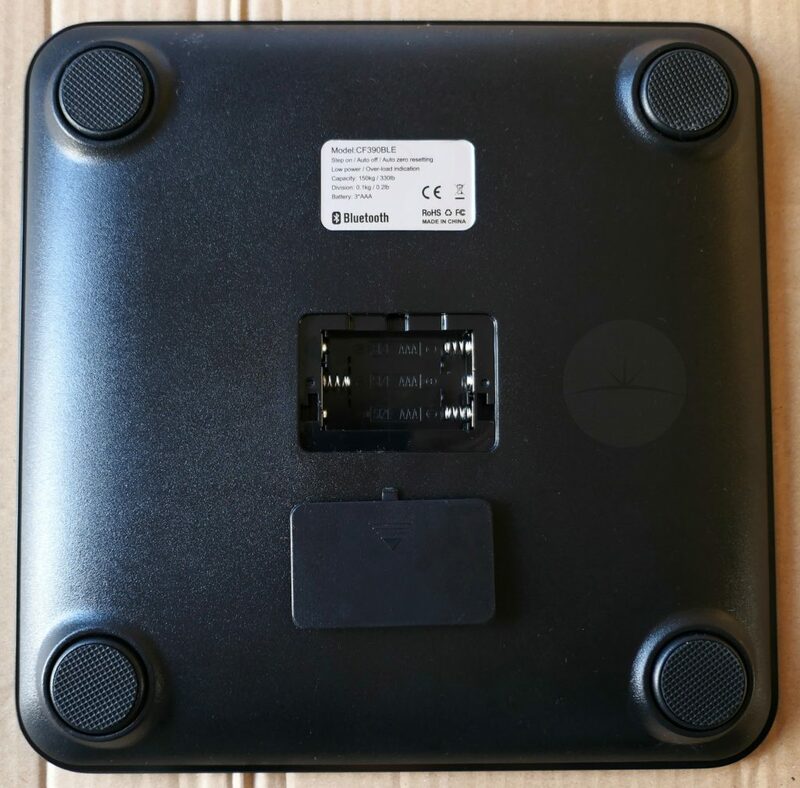 This black plastic base has 4 rubber feet that prevent it sliding around, while the top is covered in strong tempered glass with 4 metal body fat sensor pads. Overall the scales look modern and stylish, and should fit in nicely with the decor in most bathrooms. The instructions have a QR code for both Android and iOS. 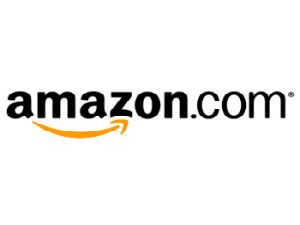 I used the Android one which links to the accompanying iWellness app on the Play Store. You can then set up your profile (multiple are supported) which involves selecting your gender, birthday, height and preferred measurement unit (kg, st:lb or lb). 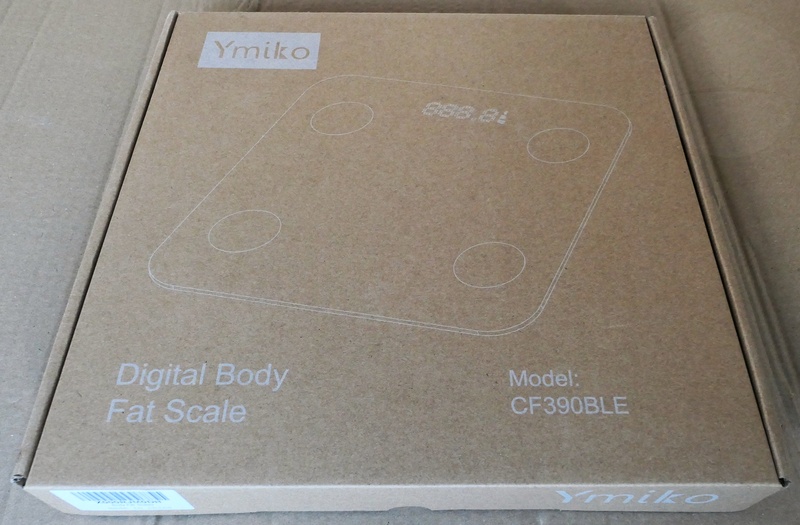 Although the scales connect to your phone using Bluetooth, there’s no pairing required – the connection is controlled by this app while it’s open. Once you stand on the metal pads with your bare feet, the scales automatically activate and your weight shines up on the cool looking red LED display. If you have the app open on your phone at the same time, then it beams the stats to it and you get asked whether you want to save them. 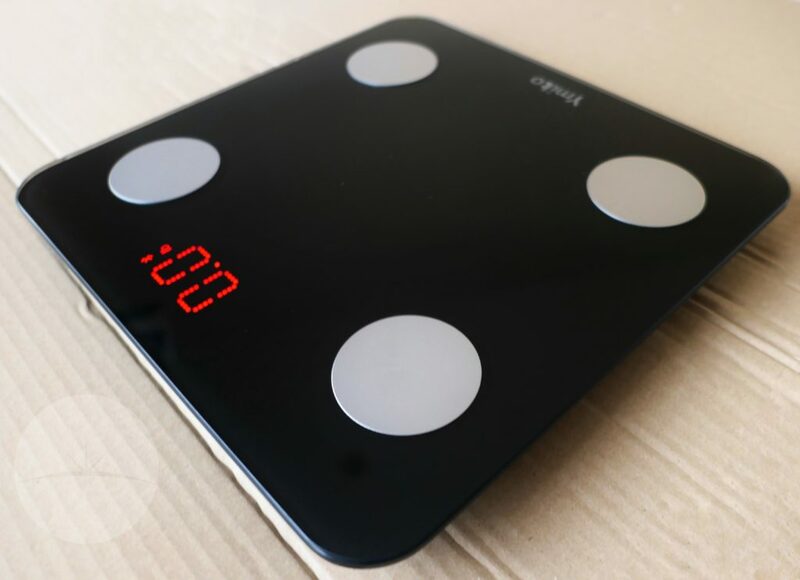 The scales turn themselves off automatically after 30 seconds to save the batteries. 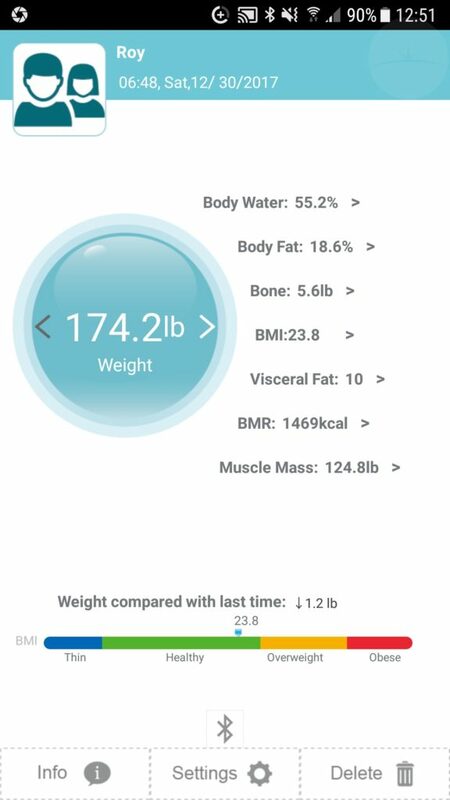 The app gives you all the stats and tells you how your weight compares to last time. You can also tap on a stat to see a list or graph of this measurement over time. I found the app simple to use and it did a good job of presenting all the information. While I can’t verify the accuracy of all the stats, the weight measurement did match the scales in my doctor’s office. Overall I’m really happy with these scales as they’re well made, have a premium look and make good use of technology to help me easily keep track of my weight. 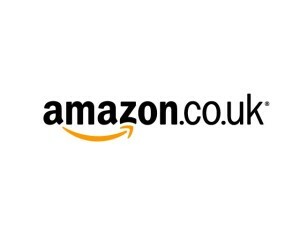 I couldn’t find anything negative to say and for the asking price I can definitely recommend them.